Selena Thinking Out Loud With Purpose is happy to bring you this Father's Day giveaway just in time for this year's special day for all of the special dads out there. There are three great prizes in this giveaway that is hosted and cohosted by some very special bloggers. I am supporting this event as one of the promoters and hope that you will be one of the winners! Make sure to use the entry form provided below and you'll be in the running! Good Luck Everyone! Welcome to the Father's Day Celebration event! Co-hosted by Tiny Tidbits of a NC Diva, Ottawa Mommy Club and What's Up-Reviews & Giveaways. The Profile Package Set is the only "Custom fit in a box" system like it in the world. Featuring 9 options - with lengths, lofts, flexes, bags and grip sizes to more perfectly fit beginner golfers and their unique physical characteristics. Options for men include right hand, left hand and right hand tall. This watch is water resistant and features the Kinetic Direct Drive, simply move and the watch is powered automatically. Metal detectors are fun! You find the most interesting things!! This one is waterproof, works in salt and fresh water (for those that love metal detecting at the beach, it's amazing what they are able to find in the sand! ), and works on land as well. **OFFICIAL RULES: No Purchase necessary to win. Void where prohibited by law. Open to persons age 18+ residing in the U.S and Canada. Bloggers are not responsible for shipment of the prizes. Sweepstakes will begin on May 25th, 2013 at 11:59 pm and end on June 10th, 2013 at 11:59 pm eastern standard time. Winners will be selected on or before June 15th, 2013 and notified by email. 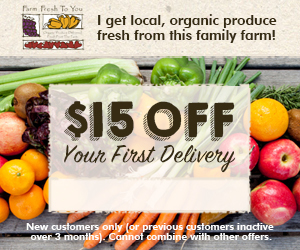 Winners have 48 hours from date/time of email to respond. If no response is received within the time limit, winner forfeits the prize and a new winner will be drawn. 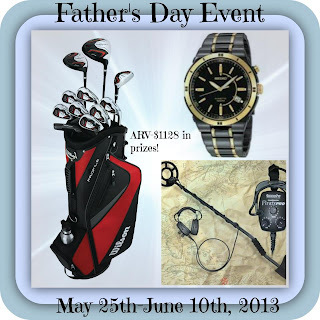 PRIZES: 1st Prize is Wilson Golf Clubs - ARV- $300.00 2nd Prize is a Seiko watch- ARV $403.00 and 3rd Prize is a Detector Pro Metal Detector ARV- $395.00. Value of all prizes total $1098.00! All taxes are the responsibility of each individual winner. This sweepstakes is sponsored. Disclaimer: Selena Thinking Out Loud With Purpose was not compensated for the promotion of this giveaway. This blog is not responsible for the deliver of sponsored prizes. The official rules listed above cover the details of this event for all entrants. Follow the instructions on the Giveaway Tool, provided below and Good Luck! he was special because he was always the one I went to for advice. My dad is so special to me because he is the most honest and trustworthy person I know. My Dad's an unbeleivable man who has helped me oh so much. My dad and husband are both special because they spend time with their kids, are good cooks and are patient. My Dad is awesome and loves gadgets! Thanks for the chance to win any one of these prizes. My dad is special because he apologized, which was extremely difficult for him. My husband is a great father to our special needs child. My dad is such a wonderful and caring father. He is so special words can't explain how much I love him. My dad was special to me because he always had faith in me. My stepfather is special because regardless of the disagreements we have had he's always there when it counts. He's also very special because he maintained a positive attitude after being hit last year while riding his motorcycle and losing his leg. Leave a comment below and tell us why the Father in your life is so special. My dad has always been there for me there has never been a time that i couldnt call him when i was in need of help or a friend. He's always been the one there for me. I can't speak for my own father, but my sons father is a superior provider. My dad has always been a loving supportive dad and we are so blessed to have him in our lives. My dad is 80 years old and still going strong. He teaches me great lessons. My dad is special because he always give great advice. My dad's been through so much and he's still here. That's why he's amazing. I learned a great deal from my father. My father has always provided everything that I needed. My father is so special to be because he raised us (my brother and I) as a single father. I have played just about every sport since I was 6 years old and my father never missed a game, even if the games were away. After high school I went off to play college basketball and my father still came to every game, even if that meant leaving work early. I remember when I was little he would braid my hair before school (as best as he could haha). My father is my everything; my hero and my best friend. He always chose to go without so us kids could have everything we've needed to succeed. Without him I wouldn't be the young women I am today. He is a hard working man he's a carpenter, but his favorite thing to do is golf. We actually live on a golf course! I am blessed to have a father like him. It's special because I don't see my father as much as I'd like to and Father's Day is a fun day to give him a present, and also my own partner for being our two kids' dad! My strong dad has been suffering with a new diagnosis of Parkinson's Disease and it's been hard to watch him go thru this. Happy Father's Day to my Dad Richard! A great provider, a super Dad, and a fun friend. My husband loves his family and would do anything for them. He helps around the house and pitches tent for our camping trip. My husband is the beat dad and is raising our 6 year old grandson! My father law always treats me with respect. My dad is special because, despite all of our differences which included times of no communication, he would drop everything and do anything he could to help me. My husband, because he is a wonderful father to our children.